I’m not a golfer. Just never could figure out the appeal of the game. On the other hand, I’ve always loved golf courses. Ever since I was a kid, I’ve enjoyed wandering around on them (no doubt to the disgust of people who are trying to play) and I’ve learned to appreciate the different schools of course design. I think it’s because a well-planned golf course they represent a sort of Arcadian ideal: a quiet, ordered and rational partnership between Nature and Humanity. More civilized than Yosemite, but less artificial than Versailles. 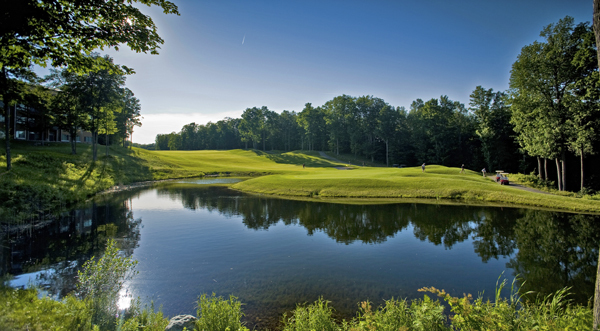 One leader in this effort is Shanty Creek Resorts over in Bellaire, which has taken several steps to make the game easier and more approachable for beginners, youngsters and less experienced players. 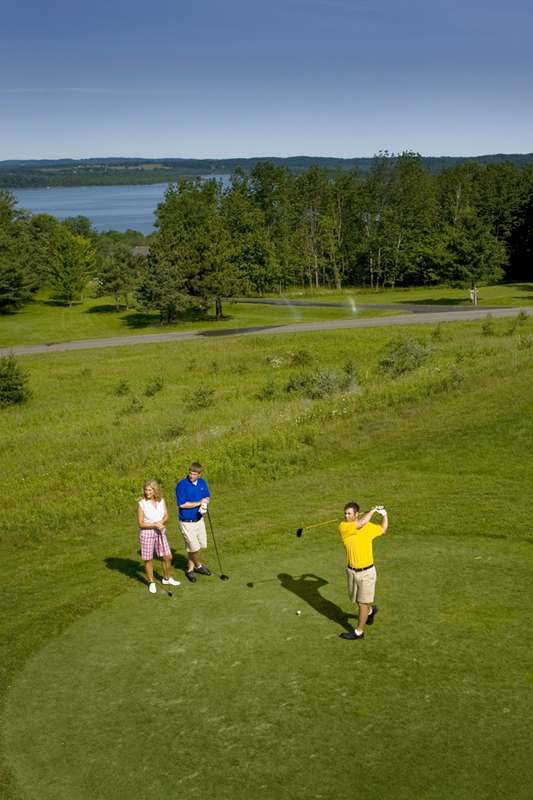 This year, for example, the resort has added 8-inch cups to each hole on the Schuss Mountain course (normal cups are 4.25 inches across) and a new set of forward tees (ranging from 95 yards to 125 yards) at the Summit Golf Club to make the game easier and faster. “Our goal is to grow the game’s appeal and make playing more enjoyable for everyone,” said PGA Pro Brian Kautz, Shanty’s director of golf. The inspiration for changes like these is a campaign called Golf 2.0, which golf legend Jack Nicklaus has been urging fellow PGA members to adopt as a way to make the game more fun (particularly for women and junior players) and bring more players into the game. “Our goal is to grow the game’s appeal and make playing more enjoyable for everyone,” said Kautz. Who knows? Maybe they’ll persuade me to take up golf, too.